Transportation experts are predicting that by 2030, traveling on more than half of the state’s roads may not be possible if maintenance issues are not addressed. A U-S Department of Transportation report recently graded Mississippi’s inventory of bridges among the worst. 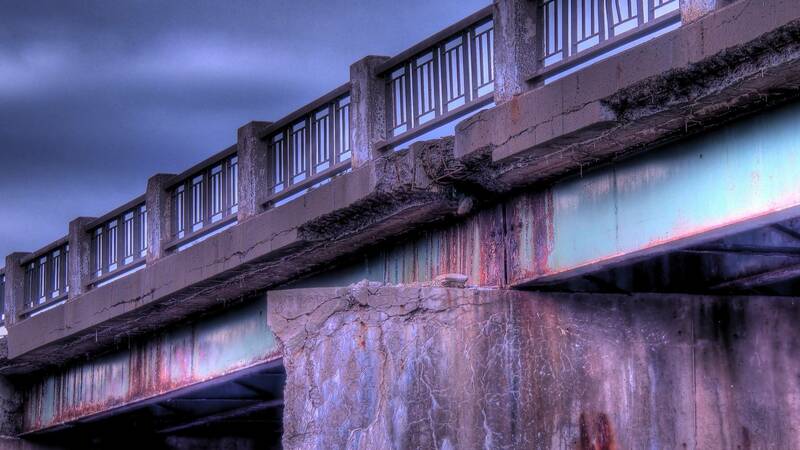 It says more than 3,000 of about 17,000 of the state's bridges are rated structurally deficient, dangerously dilapidated, or functionally obsolete. In a report released last week, the Mississippi Economic Council is suggesting the legislature provide an additional $375 million per year to the State Department of Transportation. Joe Sanderson is CEO of Sanderson Farms and chairman of the task force that released the report. He says the $375 million would help where immediate repairs are needed. Sanderson spoke with MPB's Maura Moed. The spread of infectious disease is a public policy issue -- and a very personal matter. How effectively a state works to prevent and limit infectious disease affects everyone living there. A new report -- Outbreaks: Protecting Americans From Infectious Diseases -- has been released by the Trust for America's Health and the Robert Wood Johnson Foundation and it grades states on how well they protect the public from the spread of disease. Richard Hamburg is deputy director of the Trust for America's Health. He told us the report uses public data to grade the states.